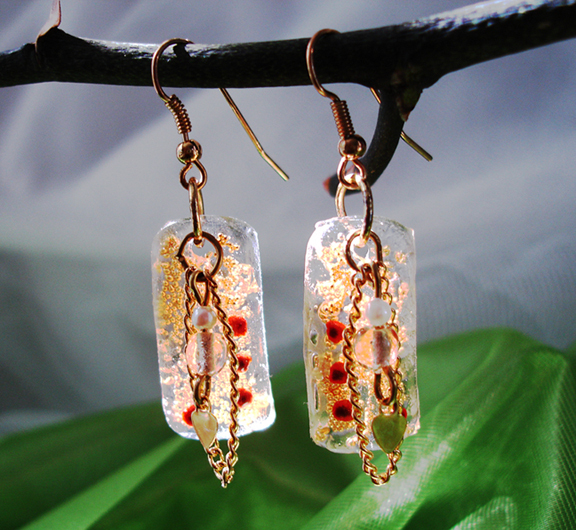 Here is another pair of earrings I created using molded resin. This time I used a different mold and stuck to gold tones. 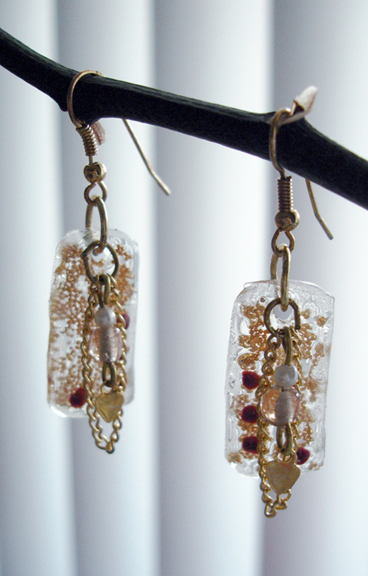 As with the previous silver earrings, I used a little mineral powder, some chain, glass beads, microbeads and a charm.